Mobile is one of the fastest-growing areas in search today and represents a huge opportunity for businesses with the foresight to take advantage of the coming wave. Compared to a couple years ago, when people were only logging in with their phones to check out sports updates and find out weather forecasts, mobile today has evolved to become one of the primary forms of local business discovery and online product research. With this in mind, it’s important to start to optimize your landing pages specifically for mobile. This article will break down 5 mobile landing page optimization strategies which you can make today to get your landing pages in tip-top shape for mobile conversions. When users visit your landing page from mobile, the first thing you need to consider is how their experience is going to change as a result of their smaller screen real estate. And what’s the first thing that they’re going to see? A headline that fits nicely on your desktop page could end up taking half the screen on mobile. And that’s because as elements stack to become mobile responsive, your headline could start to require multiple lines in order to display all of its content. 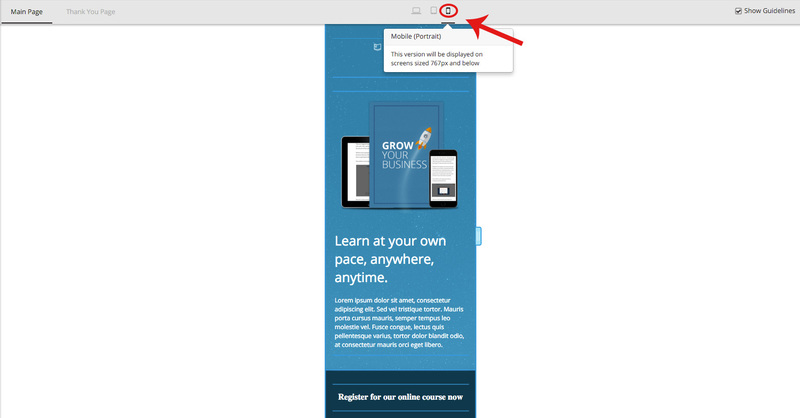 Take a look at this example of how a long headline on desktop begins to dominate the screen when converted to mobile. To fix this problem, try sticking to short headlines when creating mobile landing pages. Headlines with four words or less will help to keep your landing page clean and uncluttered once scaled down for mobile devices. Notice how the headline doesn’t change at all when viewed on mobile? 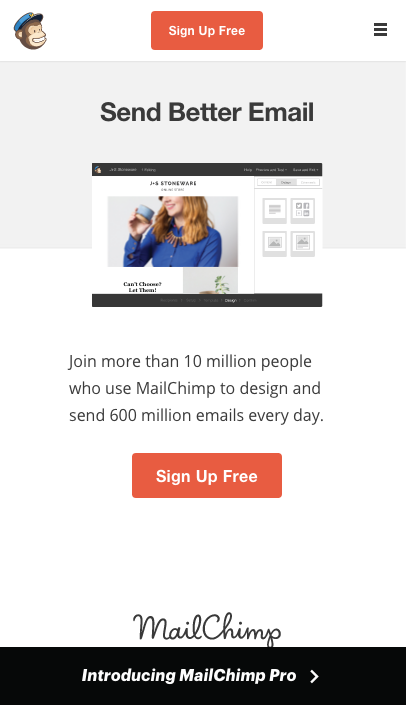 Also, take a look at how they mention their product “Mailchimp Pro” in the black bar on the bottom of the page. When viewing the page on mobile, the text shrinks to three words rather than trying to stuff a long sentence into a small area. The lesson? Keep your headlines and sentences short to reduce clutter and help focus attention on what actually counts. Did you know that 70% of mobile searches result in an immediate action being taken within one hour? That blows desktop out of the water seeing as desktop users have been found to take action after about a week after their first search. That means that the nature of mobile searches are different than desktop. People are searching for more immediate solutions to their problems and want to find someone online that can help them. Compared with landing pages that focus primarily on collecting information for users via desktop, consider adding a call to action button that prompts users to give you a call in order to find out more. Chances are if they’re on the go they might prefer to give you a call and it could be a great way to get them on the phone and close more sales. 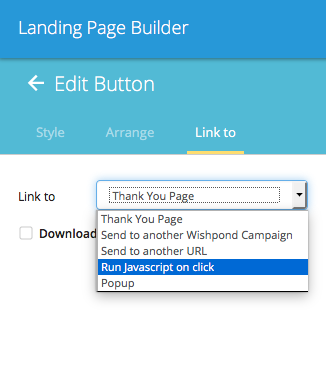 If you’re using the Wishpond landing page builder, you can simply select the button you want to link by pressing “edit”. 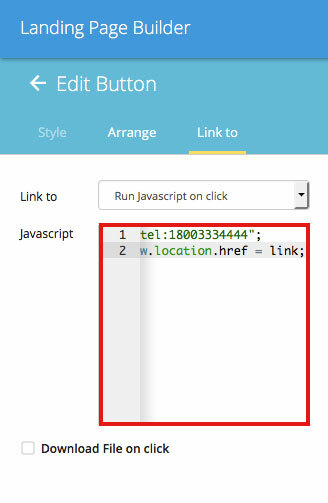 Then select “link to” under the button’s editing options. and paste this code in the box that appears (after changing the telepone number, of course). That’s it! Now sit back and wait for the calls to roll in from your new landing page. As much as people like texting on their phones, people really don’t like filling out forms. Make it easy for users by reducing the number of form fields on your mobile landing page to only the absolute necessary amount. That might just be an email address, or an email address and a first name field. If you need to collect more information, consider adding radio buttons or checkboxes that make it easy to select pre-filled answers on the go. They’re a great way of allowing your users to submit more information without the hassle of making them fumble through each form field on their device. 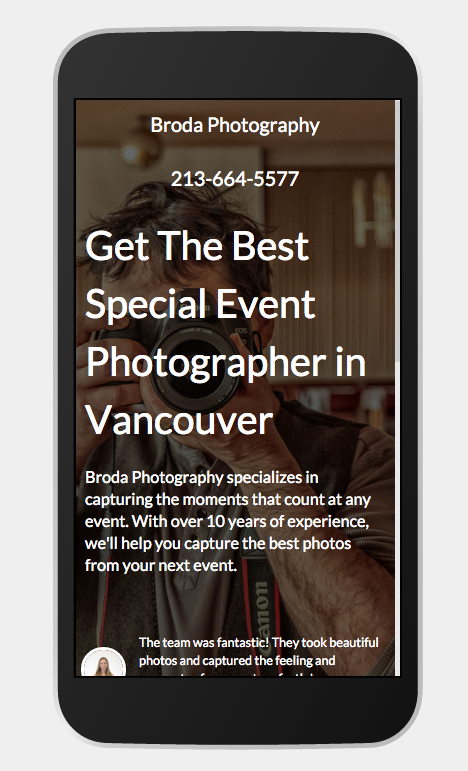 When it comes to mobile landing pages, speed is everything. You could have the most beautifully-designed landing page experience in the world, but if it doesn’t load in less than a couple seconds, then no one’s going to be around to see it. 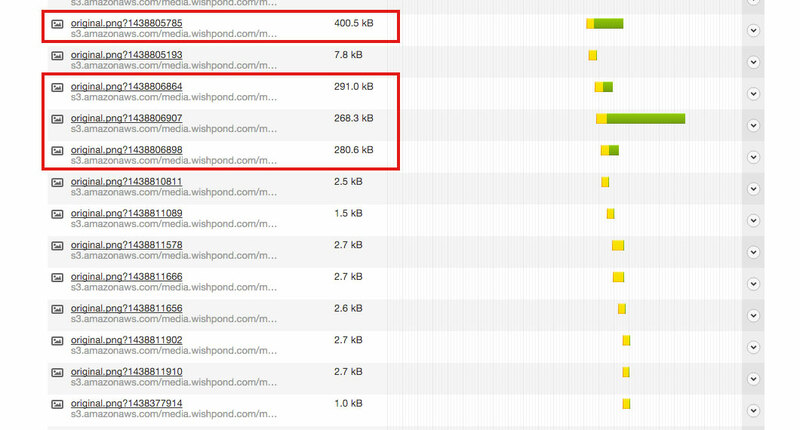 To reduce page size (and speed) is to cut down on heavy images, stay away from PNG-24 file formats, and reduce the number of plugins you're running if your landing page is built on a platform like Wordpress. As a general rule of thumb, you should try to avoid any element on the page (picture, text, or video), that exceeds 200kb. To find out what could be weighing your landing page down, take a look at Pingdom’s website speed tool to get an inventory of everything loading on your landing page. Once you input your landing page URL, you’ll be able to get a breakdown of all of the different elements of your page and how much each one of them is weighing on your load time. By clicking on the photo name on the left side, you’ll be able to see which photos are the heaviest on your site and can begin replacing them with smaller, more optimized photos. If you're familiar with photoshop, you can use the “Save for web” feature in order to reduce the file size of an image while maintaining a certain level of quality. If not, consider using an online optmization program like Optimizilla where you can upload an image and it will automatically resave it at a smaller file size. With the decline in overall page real estate on mobile, it’s tempting to shrink down your font so you can fit more of your content onto the page. Google recommends starting with a font size of 16px for mobile and working up from there. Any smaller and you run the risk of having text that's too small, making people pinch their screens in order to see your copy. If you’ve coded your landing page using HTML, you can use a CSS media query to adjust your font size depending on the size of the device "viewing" your page. If you’ve built your landing page using Wishpond, you can simply press the mobile phone icon in the middle of your page builder and increase your text size specifically for mobile. Toggling back and forth you’ll see that any changes you make to mobile don’t affect your desktop view, and vice versa. Whatever size you decide to go with, make sure that the aesthetics of the page don't outweigh its usability. Remember, people need to be able to read your copy if they’re going to make it to the next step in your funnel. There you have it, 5 mobile landing page optimization strategies to get you in shape for mobile conversions. Have a mobile optimization tip that wasn’t mentioned? Feel free to leave it in the comments below.